Much has been said about blockchain potential to revolutionize the internet and usher in a new age of interconnectedness — one characterized by fairness, equality, privacy and security, popularly termed as “Web 3.0”. Several projects are building the infrastructure to enable this transition, of which the social media experience is an integral part. Sapien Network, which has been building a decentralized social platform that gives power back to end-users, is one of those projects. Social platforms have enormous influence in shaping the opinions of the masses, and are unfairly designed in favor of the tech companies behind it. With its utility token SPN, Sapien hopes to let users define the value of content, advertising influence and their overall social experience. It’s no small task overhauling the web, however, and Sapien has been focused on developing the many underlying features that make up a radically new way of interacting online. In Its Vision to Build Web 3.0, How Does Sapien Differ from Reddit and Steemit? As is the case with other projects attempting to build Web 3.0, Sapien’s long-term goal is to build a tokenized version of a social platform that gives power to the users, which in turn allows them to combat misinformation, protect their data and secure their privacy through the use of tokens and decentralized governance mechanisms. To that end, they are building an ecosystem of products in partnership with several other projects and third parties that will uphold the principles of the internet’s true intent: a platform for communication that cherishes free speech, privacy and democracy. The current internet offers this to a degree, with platforms like Reddit and Steemit allowing users to share their opinions anonymously. However, Sapien triumphs over Reddit by monetarily rewarding users for their content and curators for their moderation efforts, while also highlighting experts and their knowledge in certain fields. Additionally, there is a greater emphasis on users putting forth their ideas, rather than companies pushing their agenda. With respect to Steemit, the advantage Sapien has is its Proof-of-Value consensus mechanism, which runs on the quantifiable value of content and reputation of communities. This is bolstered by the fact that it is also easier to create communities on Sapien’s platform. Users are incentivized to act honestly through a reputation system, which also plays a part in platform governance, which we talk about later. What users like best are tools that let them operate in the way they want and, knowing this, Sapien is also planning to implement public and private modes, and community tools, which lets them customize their social experience to their liking. Indeed, customization is one of Sapien’s most salient features. These modes will allow users to choose either their real identity or a anonymous one, and this can be set according to the groups or subscriptions that one wishes to join. When one switches between these groups, the private/public mode automatically toggles. In other words: one account, two different identities. This is an important aspect in upholding a user’s privacy, which is an essential characteristic of Web 3.0. Of course, this privacy also extends to the chat systems, which are encrypted from end to end. Not to be left unmentioned, Sapien’s marketplace allows users to buy goods on a peer-to-peer basis using their native tokens. Sapien’s unique staking system also deserves a brief mention as content value is at the heart of the staking system, which is divided into various “pillars.” Each of the 8 pillars demands varying amounts of staked tokens, and grant different levels of user actions. For example, the first level called “Access” allows user to perform only read-only actions, whereas staking more tokens into the “rewards engine” lets the user receive a greater amount of revenue from advertisements. The system lets users decide how much they want to contribute and rewards them proportionally. The more a user stakes, the more they earn. The reward engines will go live this month, letting users stake SPN for each action they take on the platform, such as creating HQ content, leaving comments, and voting on posts. It is worth reading Sapien’s documentation on their staking system to get all the details on how it works. Consistent updates to keep the community informed about progress is a hallmark of a good project, and those interested in Sapien will be pleased to know that the team does so frequently on their blog. As those posts will indicate, Sapien’s 2018 roadmap revolves around designing a user-friendly platform with an intuitive UI/UX, which we talk about shortly, and getting the word out that a decentralized social platform does exist and is ready for use. Their overall roadmap stretches to 2020, around which time they hope to consistently add users to their platform. First, however, they must create a platform that can actually be used and this has been their focus in early 2018. Sapien spent 2017 working on a private beta, developing Sapien into a blockchain application and completing the project’s whitepaper. Having done this, they felt confident enough to move onto the actual token sale, which conducted its first phase in Q1 2018. Sapien is taking the majority of the year to build the fundamental infrastructure for their platform and growing the user base. The following is an outline of their agenda for 2018. Social platforms are a finicky endeavor. There were many before Facebook came into being, but none clicked in quite the same way as Facebook. A large part of a platform’s success comes down to word of mouth and a welcoming UI; and up and until Facebook, nothing had the same effect as Facebook’s news feed and the inviting red notification contrasted against a blue background. The Sapien team knows that growing a user base is at the heart of their project’s success and has thus put a lot of effort into marketing and brand awareness. The first half of 2018 was focused on marketing and UI/UX, described below. The former included airdrops, the Sapien rewards program, competitions and a ceaseless effort by the team to educate the public on all of the different ways decentralized social platforms are better than current platforms. The Sapien team also implemented a payout to content creators and curators. Being aware of the fact that most people use social media on their phones, Sapien released a mobile app version of the Sapien platform on June 14, which is a key development in creating growth. Additionally, they are also working on porting the platform to a dapp. Naturally, marketing will have to be a continual effort, at least until Sapien’s adoption reaches critical mass. It is not the only project in this space, which is further reason as to why publicizing its uniqueness will be important. The team hopes to acquire 10,000 users every month by Q4 2018, which is a reasonable ambition. For any service in which people are expected to spend a lot of their time, the actual experience of using the platform must be intuitive and unobstructive. Think Facebook, and the ease with which you can view updates from your friends, as opposed to MySpace or Orkut, which was extremely cumbersome by comparison. That’s why the team has been working hard on perfecting the UI/UX of the Sapien platform. Pictured below is a preview of the proposed update to the UI that is expected with Sapien’s next platform update. The clean approach draws the attention to the content, with easy accessibility to categories, filters and user account options. The UI will continue to remain a subject of development efforts throughout 2018 and beyond. 2019 is a whole different ball game for the project, shifting their focus from marketing to platform development and general refinement. 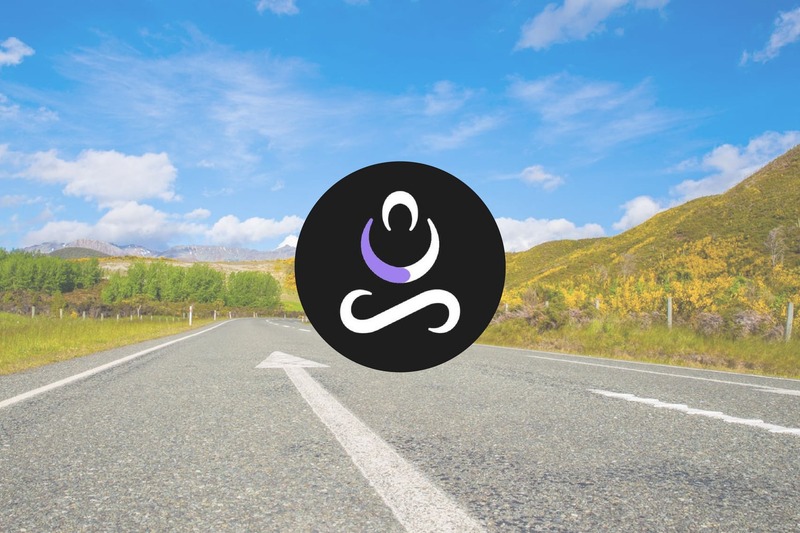 A key feature of the Sapien platform is the Democratized Autonomous Platform (DAP) which is a mechanism that allows users to have their say on the project’s roadmap through a proposal system. SPN stakeholders will have the power to influence organizational decisions, suggest new features for the platform, and modify marketplace rewards. The DAP will function on a staking mechanism and random set of users will be selected as validators. Furthermore, a reputation system exists to ensure that malicious actors are penalized for dishonest behaviour. The ultimate goal is to create a system that is self-moderating and fully autonomous, where users themselves can decide what is best for the platform. The team will be building the infrastructure for the DAP in Q1 2019. The marketplace goes beyond just goods, as the SPN token plays the most important role in deciding how valuable a content is, and the more charitable goal of fighting fake news and loq quality content. Creators receive tokens for worthwhile content from other users, and this removes the dependance on advertisements for revenue. As Sapien grows more popular, the team wants to add to the list of available items on the marketplace, which will become the economic hub that defines the value of content creators. This is expected to happen in Q2 2019. Growth remains one of the biggest challenges and pulling in developers will be critical in overcoming that challenge. By Q3 2019, the team hopes to open up the developer platform to third-party applications and integrations, which would mean that many more services and products could be built on top of the Sapien Network. In tandem with their marketing efforts, this could put them on track to achieve their goal of optimizing the platform to scale, and add a million new users every month from Q4 2019, as they have stated in their roadmap. For a detailed description of roadmap and features, we recommend reading Sapien’s whitepaper. Despite the relative newness of the Sapien platform, the project has already established multiple partnerships and completed major milestones. Most recently, Sapien partnered with Civic, the digital identity project, and was listed on LAToken. The list of collaborations extends to UC Berkeley’s Blockchain Lab, Rocket.Chat, Onfido, ComplyAdvantage and many more. The full list of partnerships can be viewed here. The common theme among these partnership appears to be growth and utility for its users. Each one of the varied list of partners serves different purposes and helps build a robust decentralized social platform, who in collaboration with Sapien, expand the advantages of the platform. For instance, ComplyAdvantage offers Anti-Money Laundering services for businesses to safely conduct their operations, Onfido offers biometrics for token sale security and Rocket.Chat offers a feature rich chat system. Sapien has also checked off some notable milestones since the project really began its development cycle at the beginning of the year. Most significant of all was the launch of the beta version of the marketplace and merchandise store. The marketplace was the first project of its kind to accept payments in native tokens, via Metamask, and allows users to purchase virtual and physical goods, including premium content, clothing and accessories.The team expects to add more goods to the store in the months to come. We also mentioned the launch of the mobile app, which is available on both Android and iPhone. 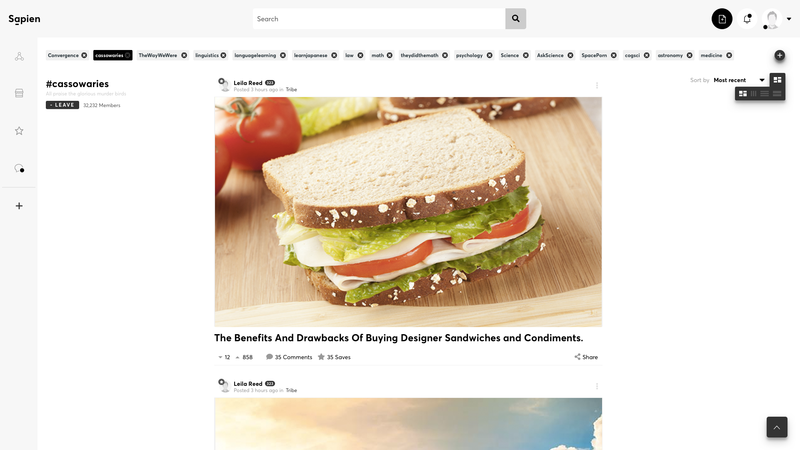 Lastly, Sapien’s beta program, launched on April 30, allowed its ardent followers to test the platform and publish content, which resulted in the creation of over 7,000 posts and 150 micro-communities. If they can continue to consistently develop and meet their goals, Sapien can very well reach their ambitious goal of building Web 3.0. The sheer scale of Sapien’s efforts to overhaul the online social experience is made clear in their roadmap. There are 2 major sides to their development efforts: marketing and infrastructure. The former is rather straightforward, given that a use case such is directly dependent on the user base. While marketing efforts may be an obvious necessity, it is no means easy and this is why Sapien is spending so many resources in raising awareness. Infrastructure development is far more interesting, and arguably more important than marketing. Sapien has the potential to get several third parties and partners to deliver useful and creative products on the platform, which are created with end-users in mind. These end-users in turn purchase and support these features, further emphasized by elements of the platform like the Democratized Autonomous Platform. The Web 3.0 may not be around the next corner, but it is coming, and it is platforms like the Sapien Network that will be beating a path towards it. With the successful implementation of user-centric features that preserve security, privacy and free speech, the Sapien network could be the platform that brings in the age where we are in control of our social media experience, and where we can decide what information is worth viewing and disseminating.